Government services, staff, and development efforts are mobile. Even more now as devices and applications continue to proliferate. Concerns come with technology innovation: security, accessibility, privacy, development, deployment. Mobile brings its own unique characteristics to these concerns. The single most important fact is that developments in the mobile world will directly impact nearly every aspect of government operations including delivery of services, citizen engagement, allocation of IT resources, staff support, and training. In the current mobile landscape, billions own mobile devices. The iPhone App Store holds over 350,000 active apps and the downloads are over 10 billion. Back in 2011, Gartner put tablets and mobile apps on its list of top 10 technologies that enterprises should invest in. Concerns come with any technology innovation such as: security, accessibility, privacy, development, deployment. The same is true for mobile. The single most important fact is that developments directly impact nearly every aspect of government operations including delivery of services, citizen engagement, allocation of IT resources, staff support, and training. Mobile activity in the business world is the norm. Shoppers use smartphones to scan product codes in retail stores for price comparisons. The sales of eBooks are greater than paperbacks on Amazon. Banking transactions are now commonly conducted via mobile phones. With this the expectation that all services, including government services, should be available in a similar fashion. Many government entities have entered this arena. The State of Arkansas is one of the leaders for delivering government services via mobile devices. On http://mobile.ar.gov, citizens can access a wide array of services, such as secure payment processing for real estate taxes, voter registration status, employment opportunity search, and others. The services are available on any smartphone operating platform. 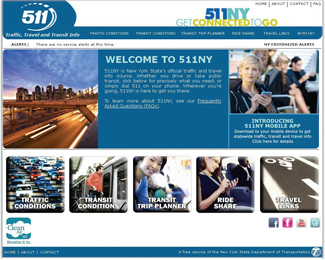 Likewise, the New York State Department of Transportation offers a 511NY Mobile Web service and a 511NY Mobile Web app for up to the minute real-time information on traffic, transit, and travel conditions. Users can also access a trip planner, incident, construction, special event, and speed information, cameras, weather forecasts and alerts, and get travel times for bridges and tunnels. In many developing countries mobile phones are often the only internet connection and a simple text message can have a significant impact. In Africa, for example, a mHealth platform called ChildCount+ empowers communities to improve child survival and maternal health by using SMS text messages to facilitate and coordinate the activities of community-based healthcare providers. The goal is to help reduce child and maternal mortality, by 66% and 75% respectively, by actively monitoring children for malnutrition, malaria, and other childhood illnesses. Kenya’s iHub—an innovation hub and nexus point for the local tech community in Nairobi—is leading the way for advances to mobile payment systems and provide more timely and useful agricultural information to farmers. In Singapore, a worldwide leader in eGovernment, nearly 350 mobile government services are available. The USA.gov website, apps.usa.gov, lists 31 different apps, such as the FBI’s Ten Most Wanted, FCC’s Mobile Broadband Test, Find a Health Center (near you), UV Index (wherever you are), and Veteran’s Affairs Mobile. These give some indication of the range of interests, audiences, and features that government agencies provide via mobile devices. Many government agencies develop and deploy their mobile offerings via both methods—511NY is a good example of this dual approach. Mobile platforms offer new opportunities for governments to engage citizens by capturing attention at a citizen’s point of interest or offering new ways to interact. The City of Salem, Massachusetts, developed an iPhone app to promote tourism and engage visitors. The app serves as a mobile brochure, tour guide, timely events listing, coupons, and tickets to attractions can be purchased over the iPhone. Because it’s a mobile app, you can look up a restaurant or motel, pull up a map, and get directions from your current location. Based on the success of the app, the city began looking into the development of a residents’ app that would sync with city constituent services center for reporting problems such as potholes. 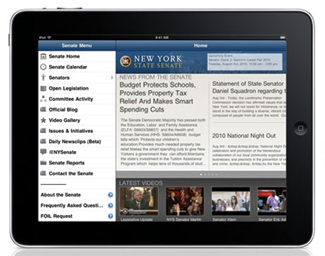 The New York State Senate released the first mobile app (available on Android, iPhone, and iPad) by a state legislature, which provides direct access to the latest news, legislation, meeting agendas, calendars, votes, videos, and more. You can also find your Senator, read their blog, track their bills, and more. The world saw the impact of mobile technology and social media during the “Arab Spring” political uprisings in 2011, but citizen engagement with mobile devices extends into all aspects of life. One year after an earthquake devastated Haiti, Survivors Connect - an organization that uses technology and social media to empower citizens around the world to address slavery and violence - set up a text message helpline to report crime. The project, known as Ayiti SMS SOS, enables anyone in Haiti to text a central number if they witness or experience an act of violence. A team of trained social workers/helpline operators respond or refer the case to authorities. The helpline makes use of near-ubiquitous ownership and reliability of mobile technology in Haiti; texting is cost-effective, discrete, and fast. Look inward and outward. The benefits of mobile extend beyond apps that enhance citizen services to policies, practices, and applications that improve an agency’s workforce performance. Recognize that mobile is more than another delivery mechanism. Mobile brings a new set of capabilities – such as GPS location, cameras, remote control, and testing – that can be leveraged to redefine how, what, when and where services are delivered. Address security, compliance, and identity management. Do not take shortcuts around the real and new security and compliance issues that adoption of mobile raises. 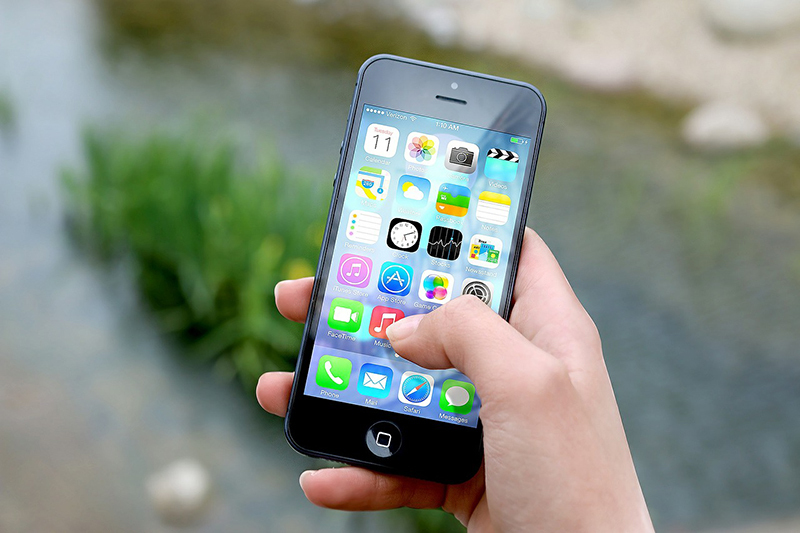 Evaluate mobile apps vs. mobile Web. 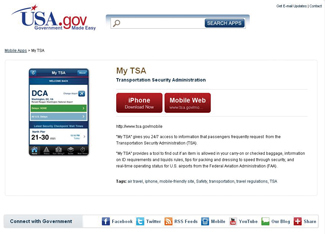 If device features are not critical, a mobile Web approach may be better and vice versa. Apps take more time, money, and resources to develop and deploy. Identifying why you are developing and for whom you can help. As mobile platforms grow, IT units need to confront this emergence from two perspectives. First, development efforts need to take mobile delivery into account, and perhaps even as the primary option. This means design and programming skills have to be upgraded or acquired, since mobile platform skills are not necessarily the same as the general Web or desktop skills. Also, program and business units must think of mobile delivery in program planning. Second, IT units must be prepared to support a variety of mobile devices (phones, smartphones, iPads, tablets, etc.) deployed throughout staff. Desk and laptops and laptops are not the only devices in use anymore. This puts new demands on IT departments to incorporate devices safely and efficiently within their networks and business processes. CTG UAlbany is talking with government practitioners at the state, city, and federal levels to find out more about how mobile is impacting their organizations and work practices. Preliminary findings affirm that mobile is a top priority and that agencies see its impacts affecting three major areas: citizen services and participation, workplace skills and processes, and interoperable collaborations. Agencies are looking for examples and best practices for mobile implementations, how to assess the ROI and public value, and how to structure business cases for mobile adoption. Nearly all have mobile projects and plans in place or currently underway, ranging from lines of business applications to support field workers to SMS Amber alerts (text messaging) to mobile e-learning. Governments are taking a thoughtful approach, not just looking for a quick, high-profile "killer" app, but explorinthe g long-range beneficial application of the technology that leverages its capabilities to better serve citizens and government workers. New technologies require new training. This is true for mobile technologies, but the interesting aspect of training is what mobile offers in terms of delivery. Multination giant Johnson & Johnson, with over 250 companies in 57 countries, knows the challenges of training a large, diverse, and scattered workforce. Recently, they’ve turned to mobile devices to deliver media-rich, mobile learning via their staff’s smartphones. As a result, they’ve seen a reduction in compliance issues, improved employee performance, and an engaged and aligned, workforce. Improved devices, improved software, and improved wireless networks have made this possible. This trend is continuing as stronger processors and 4G networks bring faster speeds, multitasking, and multimedia streaming to the mobile, wireless world. Government agencies have pressing demands for informing and training their large, diverse, and increasingly mobile workforce. eLearning via mobile, or mLearning, especially as iPads and tablets are more prominent. In a world where over 50 percent of all employees spend up to half of their time outside the office and more than 75 percent of all Internet viewing is carried out on wireless platforms, the potential of eLearning is undeniable. Governments will need to turn to this option not only for their own staff, but to reach out to the public in delivering their information and services. The platform is changing and everything else will change with it.